This is the second in my series on how to be a thought leader in digital. My first topic was about finding great content to share on social networks like Twitter and LinkedIn. 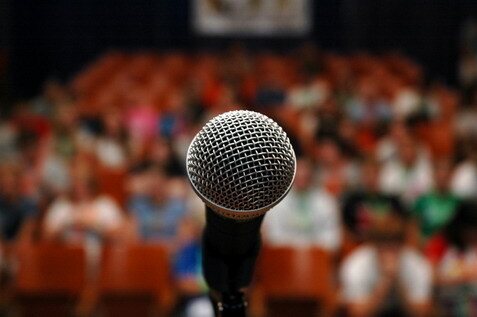 This blog post looks at what really builds your credibility as a digital thought leader: public speaking. Speaking at leading industry events, being involved in panel discussions or doing webcasts/webinars are critical in establishing your reputation with your peers and the industry. It’s certainly not easy though – if you get it wrong it can be extremely career-limiting. But if you get it right you’ll receive ongoing invitations to speak again or to share your knowledge. Getting it right can catapult you into the elite of the digital industry. Truly engaging presentations focus on the “how”. The “how” may start off discussing the “what” (the platform used, the marketing channels, etc.) but then digs a few levels deeper into the business problem. They then discuss the specific steps taken to address that problem, talks about the strategy and tactics used and then systematically deconstructs the campaign/initiative/plan for the audience. The best-of-the-best presentations are honest, open and transparent about the risks, pros and cons of what they did. “How” presentations are most often case studies from brands that have either wildly succeeded or failed badly, so it’s not always easy to be totally transparent. My advice on this is to try to be as open and honest as you can be without giving away confidential information. You may feel uneasy presenting your plans and case studies - “they will steal my ideas!” and “my competitors will copy my strategy” are common concerns. The reality is that this just doesn’t happen. So be bold, discuss your projects openly and transparently, and have the courage to stand by your ideas (and your brand). You will definitely inspire others, attract the best talent to your brand and build yourself as a thought leader this way. Set the context. Introduce yourself and explain why you’re presenting this, and why this project was important. Try to do this quickly in the first few minutes. Don’t waste too much time here and certainly don’t use this to do a long and boring sales pitch - everyone hates that and you lose credibility. Tell a story and get emotional. Setting the context and discussing the plan shouldn’t be dry or boring. You’re not presenting a sales report or the quarter’s revenue, you’re presenting something cutting edge and exciting. Act that way! Bring passion and emotion to the discussion and tell your story with heart. Present insights and data. Sure, you need to offer your opinion and your own analysis but what really makes a spectacular presentation is powerful data and customer insights. Examples include: Who are your customers? What is the state of the market? What’s the internet penetration rate? How many people are buying via mobile on your e-commerce website? How are 18 – 25 year old women using mobile to help make purchase decisions when at a fashion store, etc.? Wow the audience with data but don’t drown them in it. Discuss the clear business goals you had. If you wanted to drive more sales, state how much and by when. If you wanted to drive more marketing leads, be specific and present the actual number. If you wanted to engage your customers, don’t refer to them as “users”, present them as real people and talk about the effect your campaign/project had on their lives. Show the audience the framework and plan you used. Use one slide to present the specific steps you used. Use this as the set up for the bulk of your presentation. Breakdown the steps and explain how you achieved each step. This should be the majority of your presentation, as you take the audience through each stage of the project/campaign and how you achieved your win. Present tips, advice and talk about who helped you. Give credit where it’s due – mention the agencies and partners that made your project happen by name. The name of the company, and the names of the team. They will definitely appreciate the pat on the back and your thanks. Also, specifically mention each software program, free tool or platform you used. Importantly, tell people how much it cost. I don’t mean that you should give exact figures or give away confidential information, but present a ball park figure (did it cost hundreds of dollars, or hundreds of thousands of dollars?). Talk about your success and the results. This is straightforward. Just talk about how much revenue you made, how many leads you generated or the other specific measure of your success. If you failed, talk about the lessons learned and how you’re now applying them. Where do I find interesting and relevant data and content? ADMA Digital Marketing Yearbook – This has all the digital facts, figures and statistics for all countries in Asia. If you ever wanted to know the internet or mobile penetration rates, top e-commerce sites and how each country engages in social media, it’s all here. It’s an amazing resource. SocialBakers have a lot of useful reports on social media and Facebook. Slideshare is a wonderful resource where you can browse a huge library of PowerPoint presentations. Search by any topic to get inspiration and case studies for your next presentation. SmartBrief.com is a great eNewsletter service filled with valuable information. In particular, I love the IAB’s SmartBrief. If you’re looking for great charts and statistics, eMarketer has everything you need. www.ad-tech.com is the big event in digital marketing. Ad:Tech is held in Bangalore, Beijing, Melbourne, New Delhi, Singapore, Sydney and Tokyo. www.spikes.asia is the festival of creativity, held in Singapore. www.istrategyconference.com is held in Melbourne, Australia. www.socialmedia-forum.com/asia – Social Media World Forum Asia is held in Singapore. SES (search engine strategies) has evolved into a full-scale digital event. http://sesconference.com is held in Hong Kong and Singapore. Campaign Magazine’s www.campaignspotlight.asia focuses on different categories, like digital, technology and PR. Tech in Asia recently launched their start-up series. So far held in Singapore and Indonesia, it's a great place to meet the up-and-coming stars of the industry. You can also talk to the great people at www.marcusevans.com, www.terrapinn.com , www.dmgevents.com, www.trueventus.com, www.go2conferences.com (and others) for more digital, tech and marketing events. Good luck with your presentations and I look forward to seeing you speak at one of these events soon. 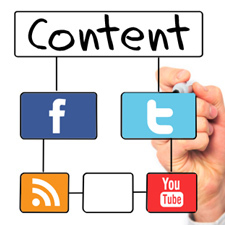 One of the most common questions I’m asked is where do I find all my content that I publish on Twitter, LinkedIn and other social networks? It’s a great question that can make or break you as a thought leader. If you’re consistently posting low quality or poor information this will hurt your reputation and quickly drive Followers and Connections away. On the other hand, having a focused stream of excellent content is one of the paths to being a respected thought leader. I usually publish between 5 and 20 posts per day, every day. So where do I find all this relevant (and hopefully useful) information? The best content is your own. This might seem like a pretty simple idea but with the millions of people tweeting, retweeting and reposting other peoples content it’s often overlooked. The best content, always, is the unique content that you create yourself. Not everyone has deep industry knowledge and many years of experience but everyone has a perspective. It’s simple – write down what you think. This could be anything from a long, comprehensive article on an aspect of digital like Search Marketing or Mobile Advertising, or could be a short opinion piece you’ve written in response to someone else’s content or events/news in the industry. The important thing is to add your own flavor, in your own voice. If you’re not sure where to start, there are 3 great blogging platforms I recommend. Google’s www.blogspot.com is what I use for my blog. You might also want to consider www.wordpress.com or www.tumblr.com – they’re all great. They’re also free and easy to set up. Tips for creating your own unique content. If you want to be a thought leader in digital, you need to stand for something. There are a lot of different areas of digital including social media, online advertising, creative, web development, video, mobile and search marketing. Pick the ones you’re most comfortable with, or are most experienced in, and simply write. Staying on topic and focus is good. It lets your ideas flow more freely. Short is great. A few simple lines or a couple of paragraphs is all you need. Longer is better. Sometimes you need to dive deeper into an issue, or feel particularly strongly about a topic. Break your content into sections (similar to this article) and write it down. In-depth articles are more likely to be shared, so when you get some spare time and the passion to write, go do it! 4Critique other peoples work. Look at articles on professional publications such as Mashable, Tech in Asia, TechCrunch, Forbes, Marketing Magazine, Ad Age, link to them via your blog and comment on them. Add your own insight or thoughts. Strongly agree or vehemently disagree. It’s your opinion that counts. Move beyond the written word. Some of the best and most sharable content is visual. If you have the time and inclination (and don’t feel like writing), get a video camera out and talk through your ideas. Publish it on your blog and make sure you create a YouTube channel. Images and infographics are also fantastic. Either share other people’s images and infographics (but please make sure you acknowledge the owner/source and are not infringing copyright), or better yet create your own. Twitter (as well China’s QQ Weibo and Sina Weibo) are the best content aggregators in the world. Twitter and Weibo are social services that allow you to Follow “interests”. This is fundamentally different from services like Facebook, which encourage you to connect to friends, family and colleagues in more of a social or fun context. The difference is that often you don’t share the same interests as the people you connect with on Facebook. It’s extremely rare that all of your family and friends work in the same job, share the same taste in music or like the same things. But you like them anyway and want to stay in touch. This is your “social network”. Twitter on the other hand is an “interest network” – it encourages you to follow acquaintances, strangers (and sometimes friends) who have the same job, work in the same industry or generally like the same things you do. This means that Twitter is fantastic for finding like-minded people in digital marketing, social media, e-commerce, technology, etc. The best source of content sharing is Twitter. Follow as many people as possible who you feel are thought leaders or inspire you in what you do. Digital marketing experts have flocked to Twitter and are posting interesting stuff all the time. Take advantage of the unrestricted rules that allow you to follow up to 2,000 other people (note: you can go well beyond 2,000 people but you need to have about the same number, give or take 10%, following you back). Focus is good – talk about areas where you want to be a thought leader or seen as an expert. Throw in a bit of personal info now and again, but be aware that the vast majority of people don’t want to know what you had for breakfast or intimate details of your last visit to the doctor. Interact with others, particularly the experts. Try to thank those that RT your Tweets, or simply comment on great Tweets you come across. Twitter might be focused on building your interest graph but it’s still social. Follow and Follow-back is the etiquette, but not the rule. You don’t want your Twitter feed filled with “How to make money online” scams, pointless quotes or irrelevant information. Be nice and follow most people back but carefully read the persons bio and previous Tweets to ensure their content is relevant. Be considerate and acknowledge others – it is great when others RT you or share the same content you do. But if you don’t bother occasionally thanking them or acknowledging where the original Tweet came from, people get tired pretty quickly of freeloaders (or even worse plagiarists). It’s just not cool. Professional tech & digital-focused publications I recommend. Professional marketing publications I recommend. Best of luck in your content creation and sharing, I look forward to seeing you on your Blog, Twitter, LinkedIn and other social media! Here's something fun that was originally posted on 9gag. The evolution of logos of 13 well known brands. Public relations and Corporate Communications is rapidly evolving. This is, in part, because Social Media is forcing it to. This Q&A (as part of a story on Campaign Asia) looks at how social media is forcing PR to evolve beyond media relations and message creation into a more holistic craft that has a greater impact within a company. What is driving the trend towards PR activities being increasingly focused on building and protecting corporate reputation? I see this being directly related to the rise of social media, as well as a change in consumer expectations (they want information and answers now! ), increased competition and most importantly, brands becoming much more transparent to customers (again, via social media). The change in focus away from dealing with a few key influential publications to communicating directly on a one-to-one basis with consumers means that the focus has swung away from crafted messages into responding quickly “on message” to customer enquiries. Everyone has an opinion. With social media, customers are now free to express their opinion, in real-time, or the entire world to see and comment on. This has meant that corporate reputation management is more important than ever. Within large organizations the responsibility for this has fallen onto the Corporate Communications team and their PR agencies to manage. From your experience, what are clients asking for specifically in terms of PR and what is needed to build corporate reputation? Brands still need core PR and communications services. These services are essentially about getting a message about their brand, product or service into the mass media. What I’m seeing as the evolution to this is brands needing help to engage more directly with individuals who are influencers. This can be anything from a celebrity to an industry expert with a reasonably sized Blog, Twitter, LinkedIn, Facebook, Google+ or Weibo following to a very niche targeting of a large number of individuals in social media interest groups in more of a marketing-like way. This is a natural progression of PR but the consequence of this is social media is harder to control than mass media, and the response tends to be in real-time. This means that brands are asking PR agencies and internal Corporate Communications teams to also manage that social media response, which means they need to become experts in social media listening, responding in real-time to influencer or customer queries and have much deeper engagement with other internal teams to rapidly respond to customers. Is consumer PR still important for tech brands? Having a direct and meaningful connection into consumers and key influencers in the tech industry is critically important. 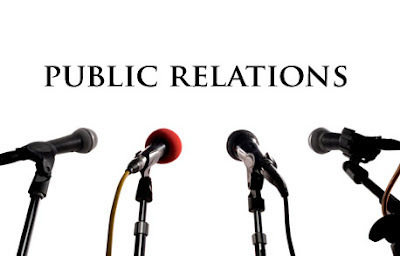 Traditional PR still plays a strong role but my view is that this role is being eroded in line with the rise and increasing importance of social media and digital communications. The more important question for PR professionals is whether they should own social media, or whether it sits more comfortably in a Marketing Manager or Digital Agency’s area of responsibility? Right now I see Consumer PR at a cross-roads – do they dive in and own influencer relations and social media communications from end-to-end (listening, being the first line in customer service, responding quickly to customer feedback in social media, etc.) or do they become a niche area in their company focusing just on crafting messages that other teams deliver and manage? Are agencies in Asia equipped to offer these more sophisticated services? There’s still a gap between pitching these services and the ability to operationalise them for a brand. For example, Dell has over 25,000 conversation every day about its brand, products and customer service through social media. This requires a huge leap in the ability to listen, discuss and attempt to resolve questions, concerns and issues. It requires the same level of immediacy as crisis communications, every day. It also requires a broader skill set than having a contact list of journalists and crafting messages – it requires a strong understanding of customer service, having deep relationships into other parts of the organization and a good grasp of technology. I believe PR agencies want to be a key partner to brands but agency professionals are not well trained in this new technology, nor do they want to own social media end-to-end. I see this as a missed opportunity.